By virtue of its dramatic location, its ever-changing climate and its incomparable serenity, Grasmere Lodge will always be a unique experience. Built in 1858, the original limestone homestead is complimented by the main Lodge building, the Mountain View Villa and Riverview Villa, all providing a very peaceful stay. Set amid towering 7000 ft peaks, the surrounding area provides a wide range of outdoor activities for those seeking a more adventurous interlude. 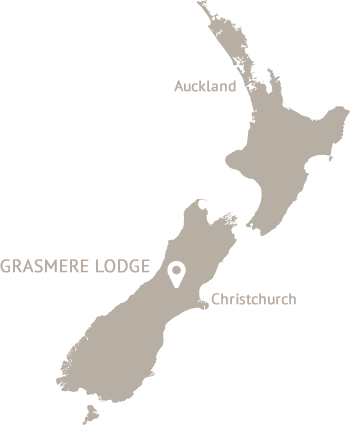 Grasmere Lodge offers comfortable accommodation options hidden in the heart of the Southern Alps of New Zealand. Each option has its own unique accommodation styles and provides breath-taking scenic views from your room.